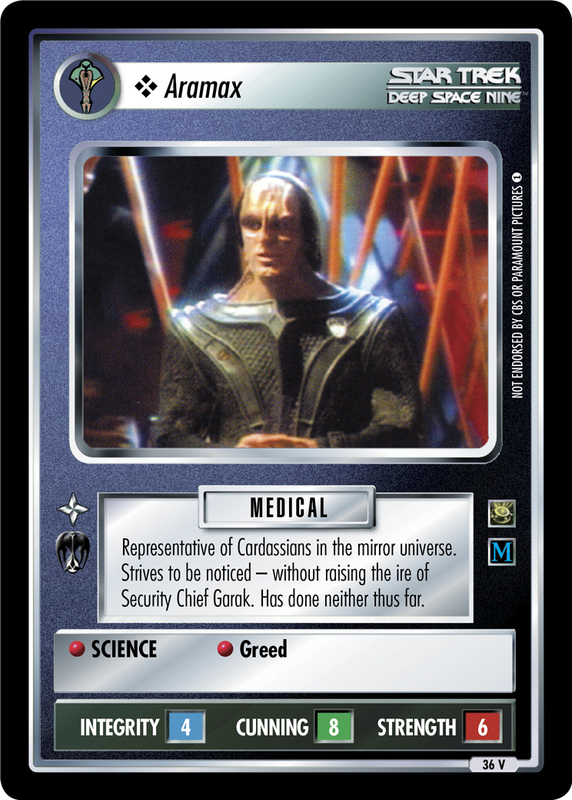 Representative of Cardassians in the mirror universe. Strives to be noticed - without raising the ire of Security Chief Garak. Has done neither thus far.